A new chapter of this serial to be continued. Not only you can find folklore, western, or reminiscence from the Roman Empire, there is also mythology. This photo illustrates the latest trend: sophisticated costumes amazingly wrought and heavy to weigh. 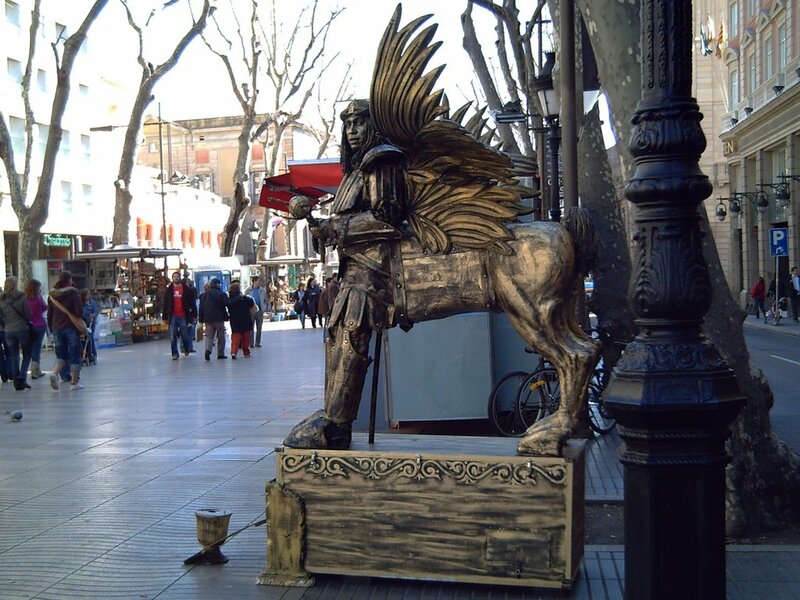 Golden winged centaur half-man half-horse (or carousel horse) looks at me claiming for his photo rights. wow, he (that) is really eye-catching. How long do they stay like that? how many hours a day? Is it a permanent job or just for fun job?? It is difficult to tell how long. They stay there and we just pass by. But you can say that a whole morning or afternoon. And is not a permanent job that´s for sure. Maybe it is not for fun, it is as being a musician in the subway, you get some money to eat and to pay for a place to sleep. If I watch long enough will he move?